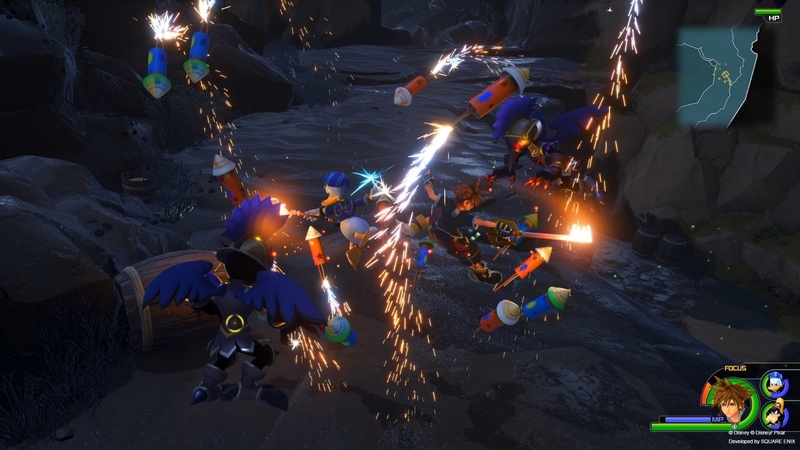 Square Enix has released a fresh new batch of screenshots from Kingdom Hearts 3, a game that players have been waiting for for well over a decade. 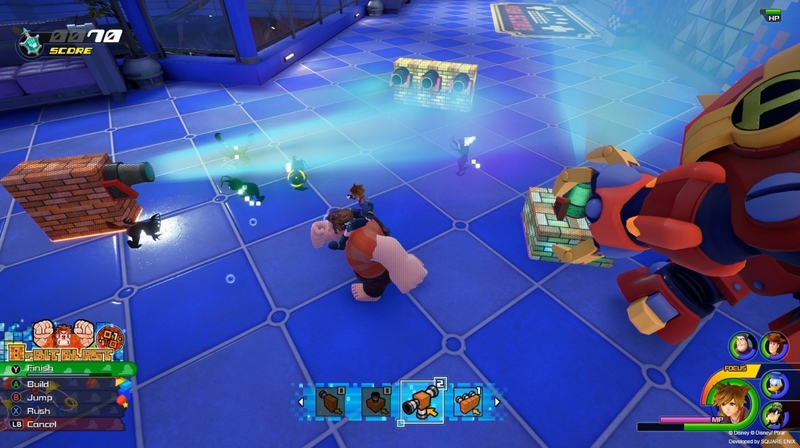 The images show the forever pals Sora, Donald, and Goofy in the Toy Box world of Toy Story as the toy versions of the characters battle it out with Disney mainstays like Buzz Lightyear and Woody. 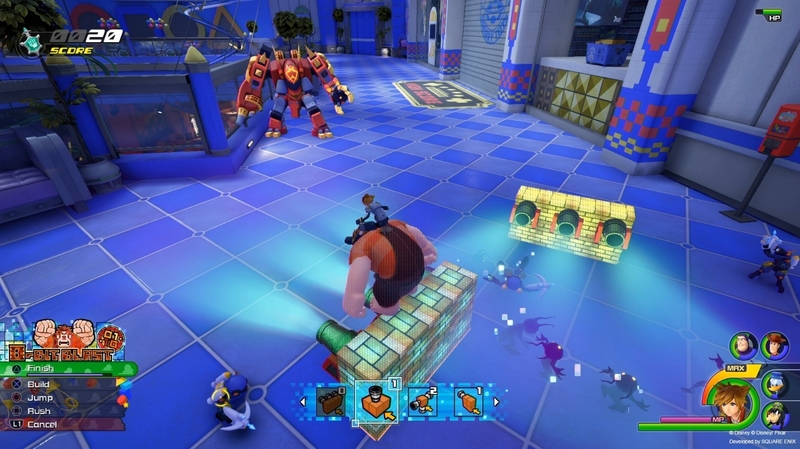 One of the newcomers is Ralph from Disney Pixar's Wreck-It Ralph, famously played by John C. Reilly. 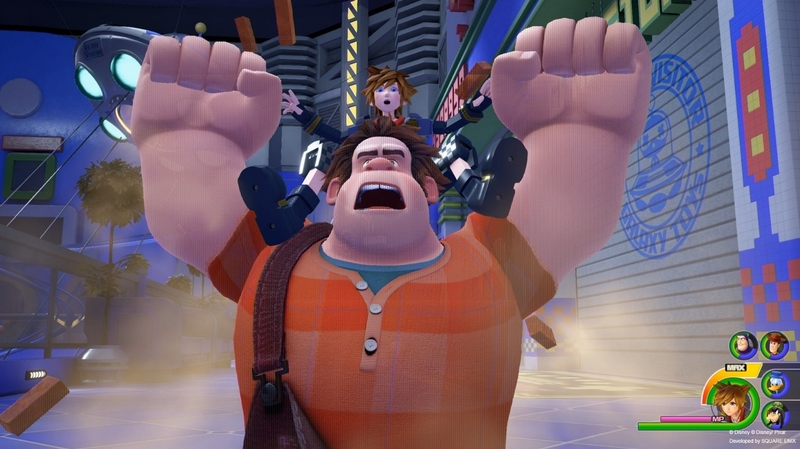 Sora hops on Ralph's back for some melee action as he, well, wrecks the Heartless and other enemies around them. 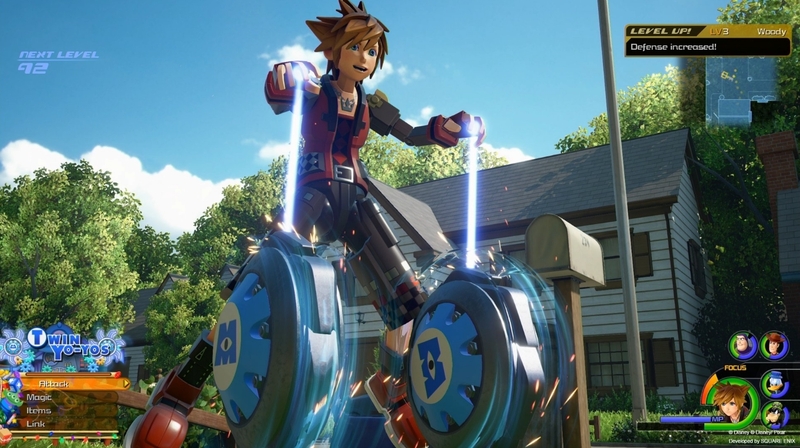 These images and more were shown recently at a press event in Los Angeles, where director Tetsuya Nomura would not reveal an official release date for the game, according to Kotaku. He did, however, say that the release date would be revealed "early next month," so it's possible that we could know definitively when the game will finally release some time before E3. 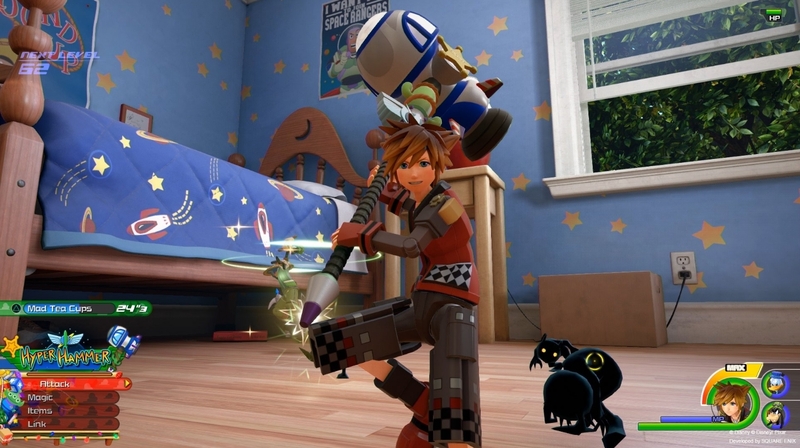 Whenever it does get released, Kingdom Hearts 3 looks like it will maintain its same old charm thanks to a blend of Disney and Square Enix characters. The magical series has been around since 2002 with the release of the original game. 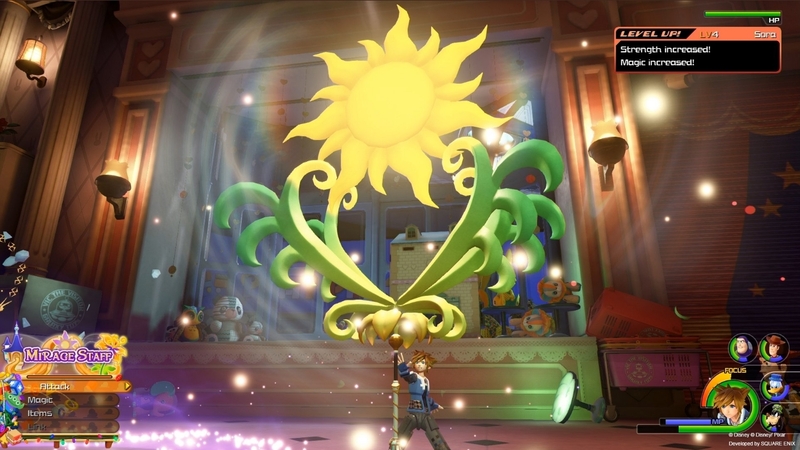 After Kingdom Hearts 2's entry in 2005, many handheld and mobile spin-offs have taken the series in multiple directions. But Kingdom Hearts 3 is the game that gamers have been waiting on for many, many years. 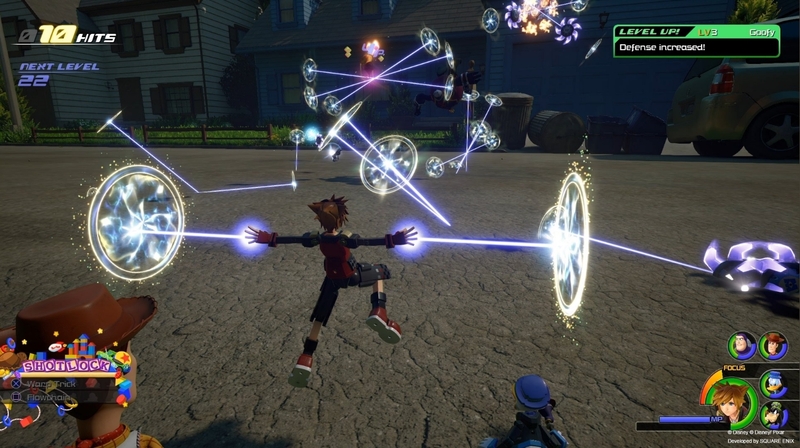 Kingdom Hearts 3 is scheduled to release some time in 2018 for PlayStation 4 and Xbox One.